With the SATCOMBw programme, the German Armed Forces will have a secure information network for use by units on deployed missions. This will allow voice and fax as well as advanced data, video and multimedia applications. For the first time the Bundeswehr will have a secure communications system with dedicated military communications satellites. The entire system is due to start regular operation in the year 2009 and will constitute an important step in the implementation of the Bundeswehr concept for network-centric operations. 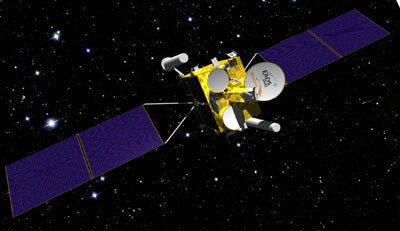 Along with the in-orbit delivery of two communications satellites for operations in military frequencies (SHF/UHF), the SatcomBw Stage 2 contract includes their operation, the delivery of a comprehensive ground user terminal segment and upgrading the network management centre already installed with the Bundeswehr. MilSat Services GmbH will also provide the Bundeswehr with commercial transmission capacities using Intelsat satellites and anchoring services thanks to new large ground stations.